Many people who are sexually abused, including children, may pursue legal claims against sexual predators and the institutions and agencies that allowed abuse to happen. 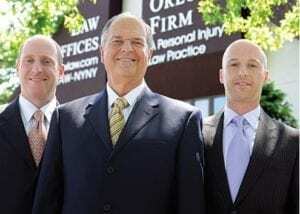 At The Orlow Firm, our Brooklyn sexual abuse victims lawyers have significant experience helping victims of sexual abuse pursue justice through lawsuits. We serve throughout New York City, including Brooklyn, Brooklyn, Brooklyn and Manhattan. Our clients in Brooklyn choose to file lawsuits for many reasons. Some may find healing through the power that comes from abusers and institutions or agencies accountable for their harm. They may take comfort in the knowledge that lawsuits may prevent abuse from happening to others.